Just up the hill from the neo-gothic church on Miramar Avenue. 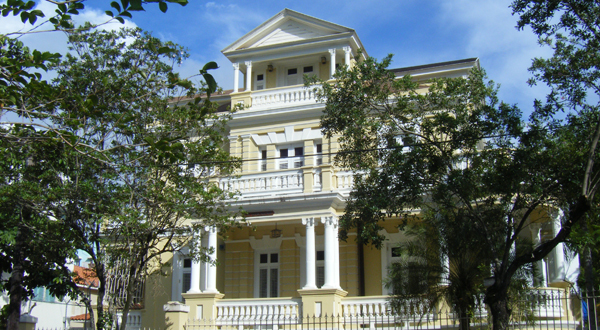 Built in 1910 by architect Francisco Valines Cofresí in a French revival style as ‘the lookout’ with views of Condado lagoon and San Juan. Now used for offices, not open to the public. Parada 12: 651 José Martí St – Just up the hill from the gothic church.